deb duty papercrafting: free kit at studio calico! There's a very exciting offer at Studio Calico for new subscribers. 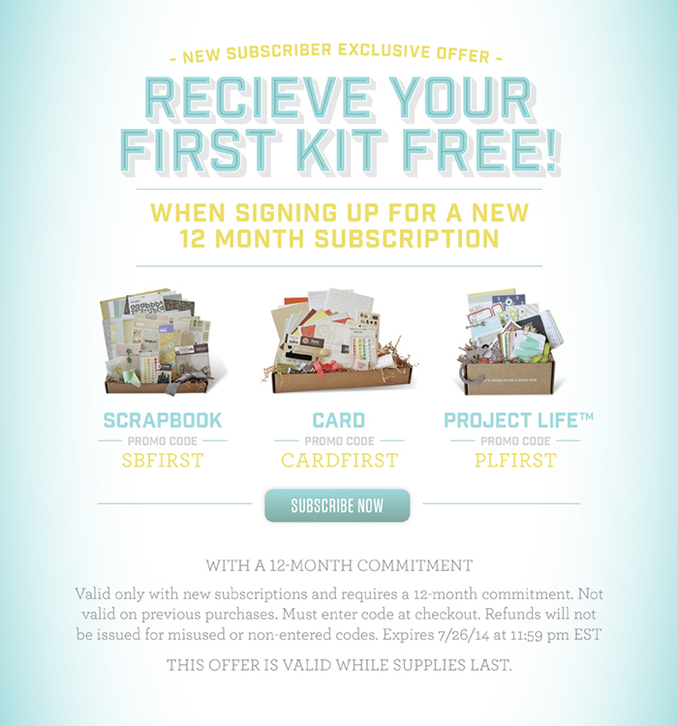 Get a free kit when you sign up for a 12-month commitment for either the scrapbook, card or Project Life kits! Just click on the image, choose your kit (click on start a subscription), and be sure to enter the codes listed below at checkout. And have a wonderful time with the box of goodies you will receive each month!